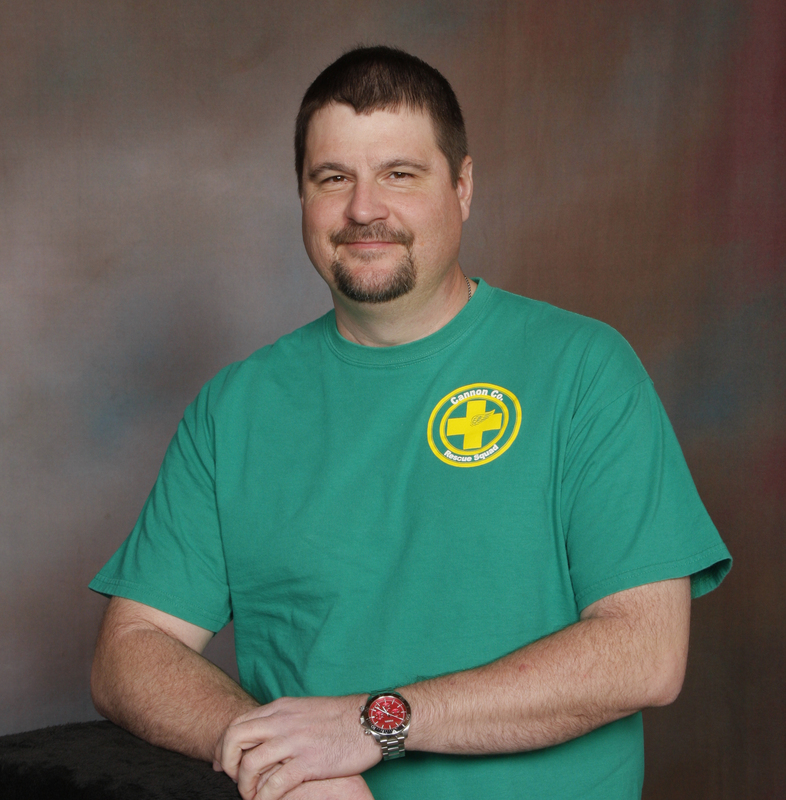 Larry Powell joined the Cannon County Rescue Squad, Inc. in May 2012. In his full-time career, as a Parts Quality Engineer for Nissan North America in Decherd, Larry is accustomed to managing difficult situations. This type of skill set has helped Larry to excel as a volunteer emergency responder. His ability to handle complex situations makes him a great asset here in Cannon County. Larry first joined the Mooretown Fire Department nearly 10 years ago. His main reasons for joining MFD were to assist with fundraising events and clean-up activities after fires. However, he quickly discovered that he enjoyed emergency service work and helping others in times of need. He received extensive fire service training during his time in Green Bay, WI with the Suamico Fire Department (SFD). When Larry moved back to Tennessee in 2011, he promised Chief Doug Doefer (SFD) that we would take the things he had learned back to his hometown to try to improve the fire service in Cannon County and Middle Tennessee. Larry holds certifications in Firefighter I and II, Fire Inspector I, and Certified Driver/Operator. He has received training in basic vehicle extrication and rescue from the Tennessee Association of Rescue Squads, and he is certified in emergency vehicle operations (EVOC). Larry is an Academy Credentialed Instructor (ACI) with the Tennessee Fire Service and Codes Enforcement Academy (TFACA) in Bell Buckle, TN which allows him to teach and train firefighters to the Firefighter I level here in Cannon County. Having a State-certified instructor means that volunteers don't have to travel to the Fire Academy in Bell Buckle to take the State-required trainings. Having an ACI is a great opportunity for counties with a limited training budget. It helps smaller counties receive top-level training for a fraction of the cost of having each firefighter attend the TFACA Fire Academy. Larry enjoys teaching the fire courses and seeing Cannon County firefighters learn and get better at firefighting. He is currently teaching a Basics of Firefighting class jointly with the Kittrell Volunteer Fire Department of Rutherford County that will graduate newly-trained firefighters in the spring of 2015. Larry is the Training Officer for the Mooretown Fire Department and a Sergeant for the Rescue Squad. When not at work or volunteering, he enjoys spending time with his family and friends. He also enjoys singing karaoke and hopes to start his own country band in the near future. When asked about what others can do to help in the community, Larry had this to say: "I highly recommend others become involved in their community through volunteer opportunities such as the Cannon County fire departments or the Cannon County Rescue Squad". We would like to thank Larry Powell for all of the work that he is doing every day in Cannon County to help our citizens. He is and has been a driving force for growth and development of our rural volunteer fire departments and Rescue Squad. For more information on becoming a volunteer responder with the Cannon County Rescue Squad, Inc., visit our website at www.CannonCountyRescue.com and contact Michael Underhill, CEO, at 615-904-5002 or by email at MUnderhill@CannonCountyRescue.com .